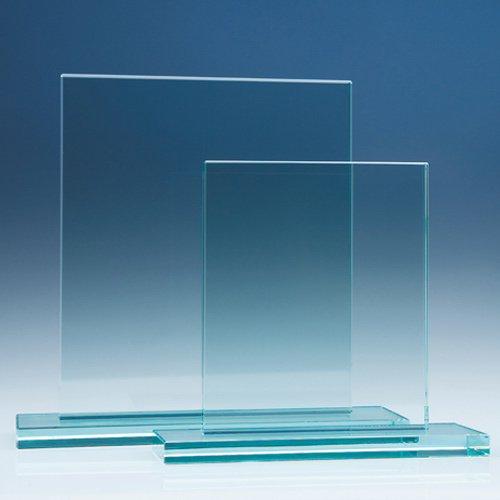 The original and still the most popular of the flat glass awards that we supply. Mainly down to the great value and wide variety of uses they are suitable for, the 12mm jade Rectangles are available in 3 sizes and have a large engraving area that can be personalised with any crest, logo or wording to create an award that is sure to take pride of place when put on display at home or at work. Not only can it be personalised with sandblast engraving, it can also be decorated with an etch effect, colour or silver print.